Dude. Chill. Wait a second. When you propose to someone, it’s important to make sure that you make the moment more about your partner than about you. Or make sure not to take attention away from anything– sort of important. Look, we here at What’s Trending Dot Com are going to cut through the internet chatter (and splatter!) in order to present the following video — a man proposing to his girlfriend on the marathon trail. Then we’ll get into all the outrage, all the conversation, all the madness (and… gladness? No! Just Madness Here!) that is involved with this race this woman runs! Check out the video below! Now, normally an engagement video will generate a grand amount of awws and heart clutches (in that such order, no other order shall do). 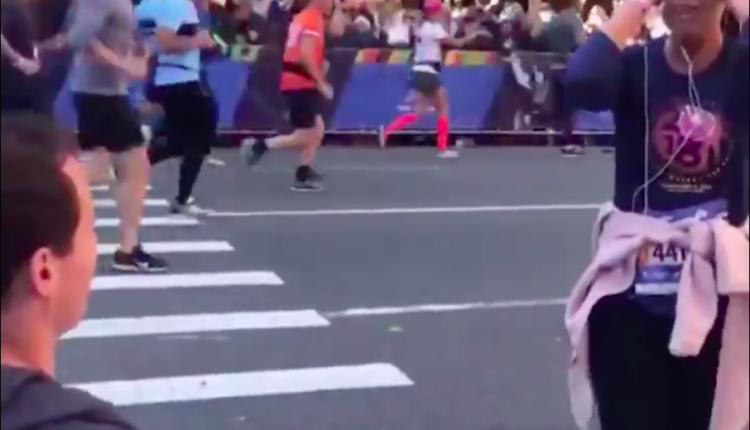 However here, many were outraged and weirded out that this man who supposedly loves this woman would mess up her marathon score! Would put her needs aside in order to tend to his own sense of enjoying attention! Buddy! What are you doing! Buddy! Even the venerable comedian and dog man cartoon voice man Paul F. Tompkins was outraged by the whole thing saying — an engagement is already a special moment! You don’t need to go into cartoonish stunts to make it so! I mean, she certainly looked happy, but at what cost I ask you, at what cost? She’s got a marathon to run, goldarn it! 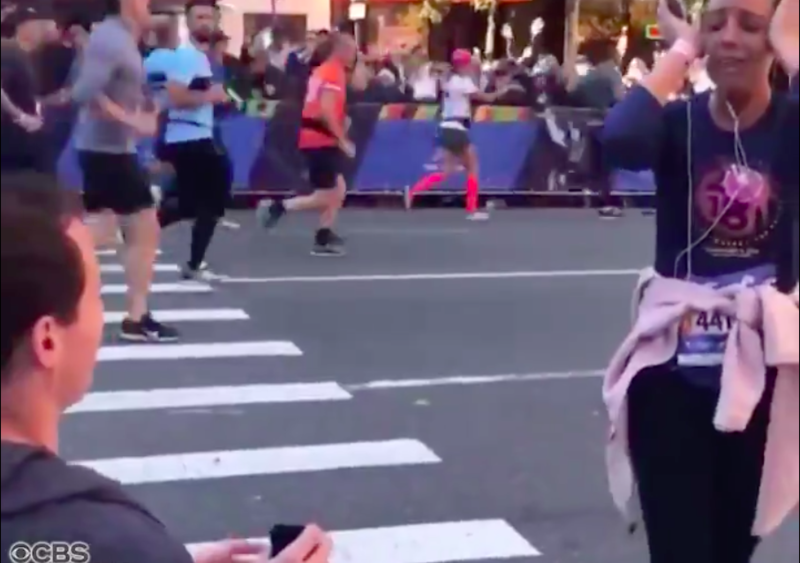 Here are other people rightfully angry at this attention eating man who decided the best time to eat some delicious attention was during his girlfriend’s big old moment! Check out their pure and rightful rage below! What do you think of this freak’s bid for internet fame, attention, and maybe marriage? Let us know in the comments or on Twitter at @WhatsTrending. VIDEO: Is PewDiePie About to be SURPASSED by T-Series?